I grab any opportunity I can to sneak in extra health boosting ingredients into my littles. 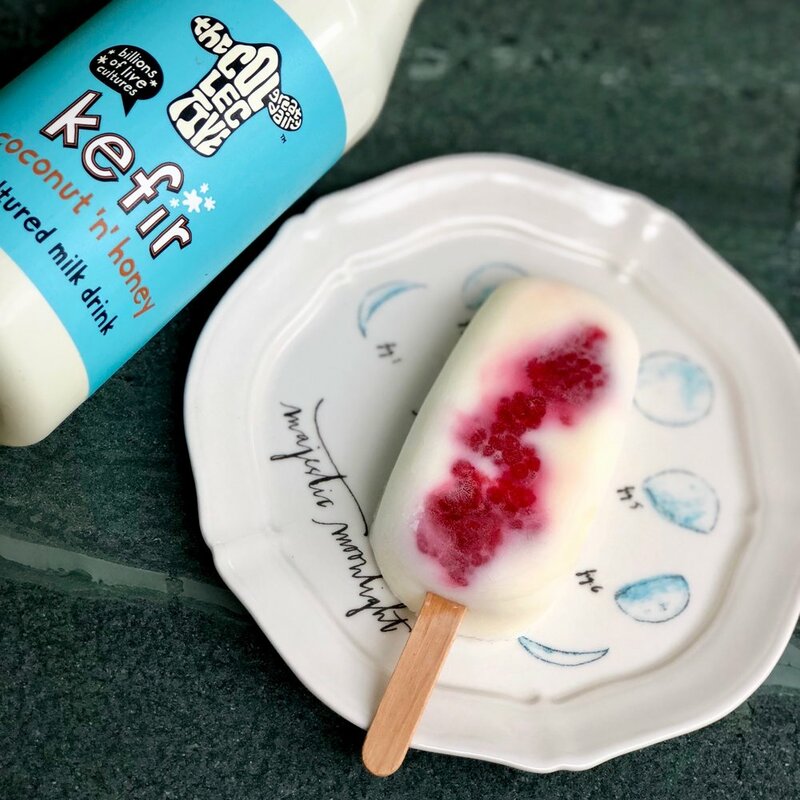 Luckily my kids enjoy kefir and are quite used to the slightly sour taste that is unfamiliar to a lot of kids, but these ice lollies are a perfect introduction for kids who aren't used to the flavour, but could really benefit from some extra good gut bugs - which is basically all of us! These are refreshing, naturally sweet, refined sugar free & absoloutely DELICIOUS! If you haven't heard of kefir before, you're not alone. It's a traditional fermented drink that tastes like a strong yoghurt, which has been drunk in many corners of the globe for centuries to boost our overall health. We know that probiotic-rich foods like kefir can improve everything from digestion to skin complaints, our mood, immunity and may even prevent tons of diseases as there are links being drawn to the gut and many diseases on a daily basis. I use fermented foods a lot in my kitchen and talk about them with almost every client I see in clinic. You can absoloutely make kefir easily yourself but it's now readily available in most big supermarkets such as this brand I used here 'The Collective Great Dairy'. 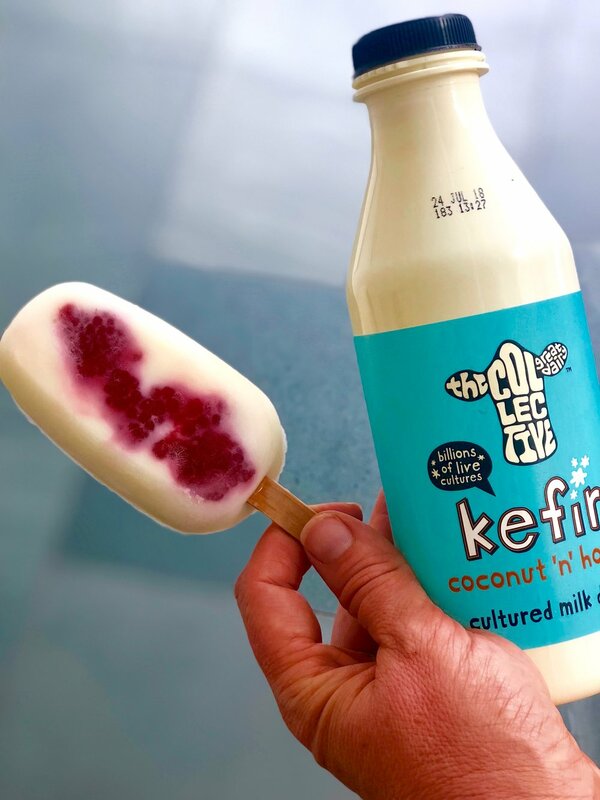 You can get some lovely coconut milk kefir drinks too if dairy isn't your thing - i like to mix it up & have a little of everything, personally. 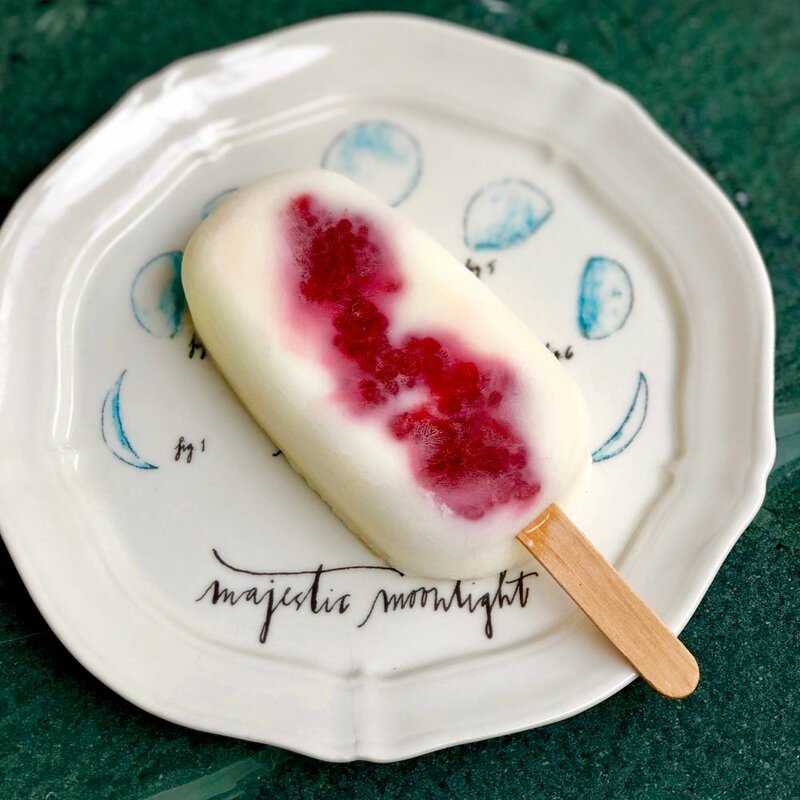 Simply place a few berries on the bottom of the ice lolly moulds then fill with kefir to the top & freeze for a minimum of 5 hours then demolish. As easy as that. If you want to, you could add a little extra drizzle of honey on top before you freeze. Lucky enough to be invited to give the nutrition workshops for the Summer Squad Development Day, I was overwhelmed at how interested this bunch of new superstars were about nutrition. I genuinely love getting involved with model nutrition as there are a lot of myths out there. I know this first hand, having worked closely in the industry for 15 years prior to retraining as a Nutritional Therapist and Naturopath. So it's an honour and such a sign of the times that top London models agencies like The Squad are aligned with helping their models be in supermodel shape the right way, and truly care about, and invest in their models' health.